Vietnam’s capital, Hanoi, may not be the most beautiful city the country has to offer, however it’s probable you’ll have to pass through here at some point on a trip to Vietnam (usually to travel to Halong Bay or Sapa Valley). In between coming and going we spent a total of six nights in Hanoi and thought we’d share our list of favourite things to do in this intense city. 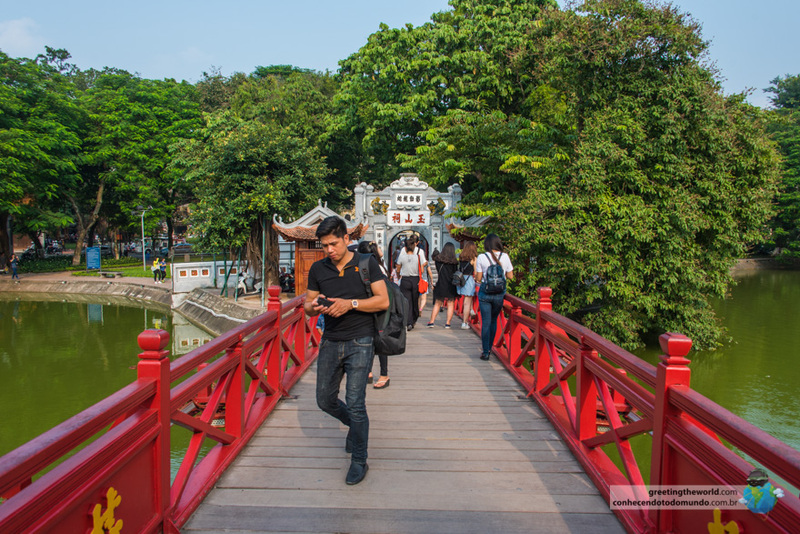 Hoan Kiem Lake is at the very centre of Hanoi city and is its banks are abuzz with street sellers, locals walking their pets and tourists snapping photos of the stunning red bridge and Island temple that decorate its banks. The best days to visit the lake are from Friday afternoons to Sunday evenings when the streets around its banks are closed for pedestrians, cyclists or segway riders and for street artists, festivals and live music events to bring an atmosphere of joy and vibrance to the city centre. Halong Bay has got to be one of the most picturesque, unique and breathtaking places in the world. Over 2,000 limestone islets thrust their way out of the turquoise waters and appear like mountains floating on the ocean. 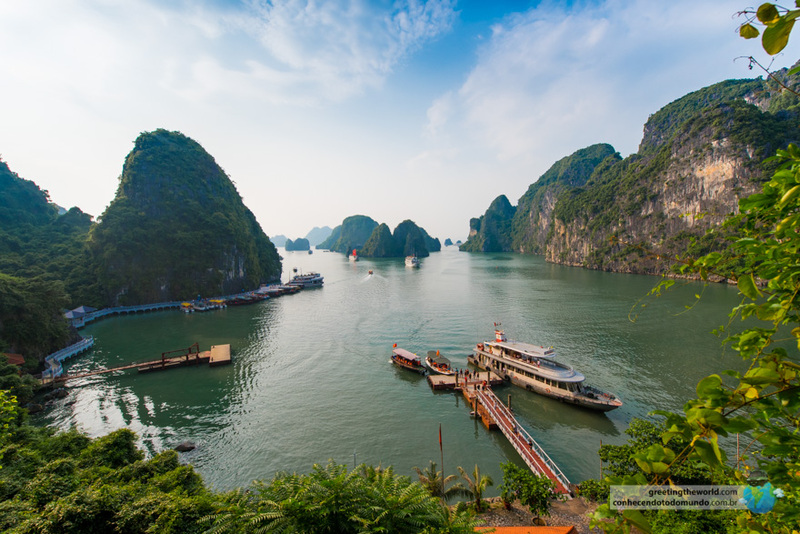 Hanoi is the perfect base to start your trip to Halong Bay and you’ll find that many hotels will keep your extra luggage stored safely for you until you get back from your cruise. Usually a bus will pick you up at around 8am to take you the 3-4 hour journey to Halong Bay where you’ll embark on your cruise. You can either sleep onboard or on one of the idilic islands as you explore the caves, beaches and islands of this Vietnamese wonderland. 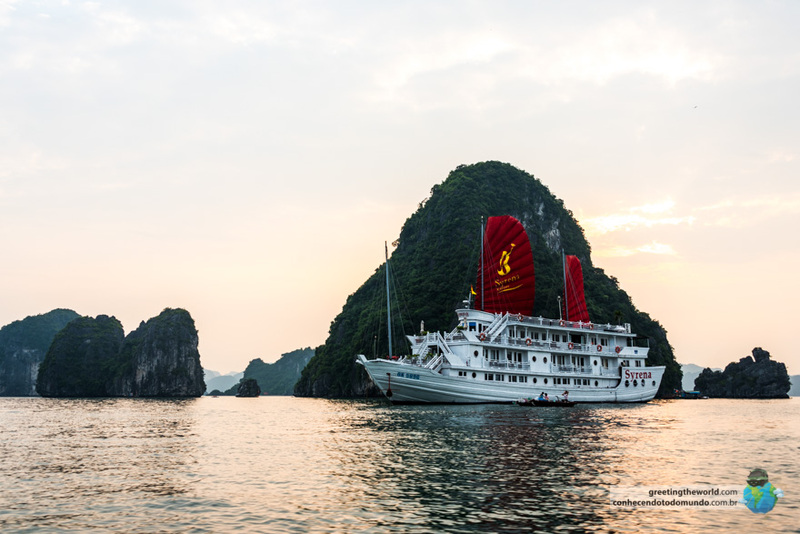 Check out our video Cruise to Halong Bay and you’ll see why you can’t miss this destination while in Vietnam. There’s no more typical way to drink a beer or enjoy a coffee in Vietnam than when seated on a minuscule plastic stool on some street curb. The best spot to do this in Hanoi, with both locals and foreigners alike, is on Pho Ta Hien street where you’ll be surrounded by the hectic yet bubbly vibe that is ubiquitous in the old quarter here. Sit down and enjoy a cold Bia Hoi, some tasty local nibbles or even an egg coffee while street sellers and scooters wizz past. Confucius was one of the most influential philosophers in history – he was the first human to see the value in educating the general public as opposed to using them primarily for manual labour. His revoutionary beliefs about ethics, knowledge and respect spread through the entire world and inspired many. 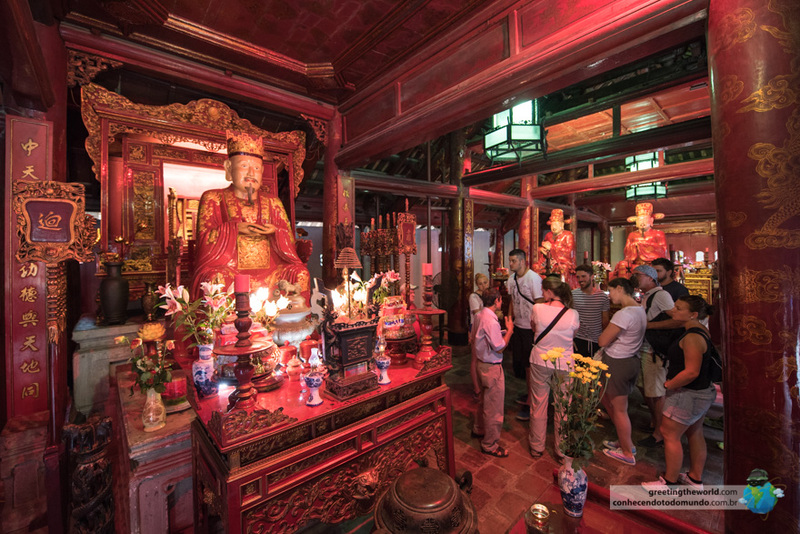 This temple in Hanoi was built in 1070 to continue to spread Confucian teachings. 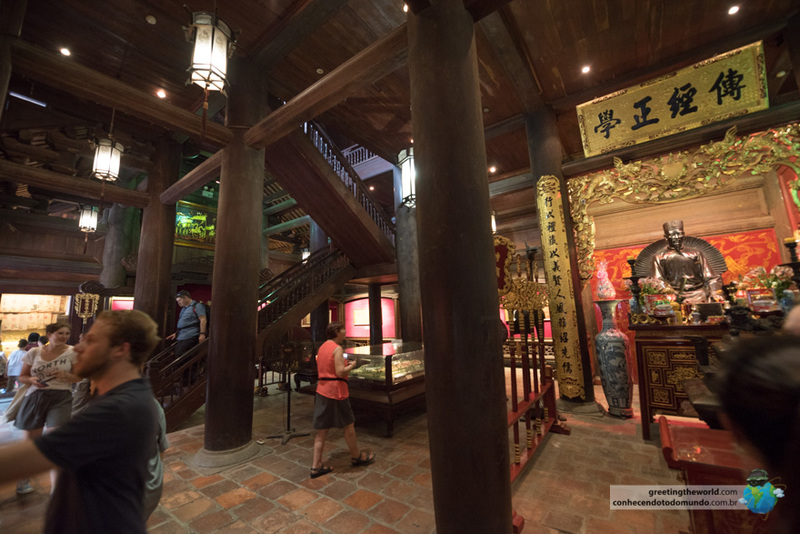 Inside you’ll find thousand-year-old stone tablets inscribed with the names of dedicated students, a shrine shrouded in clouds of incense and even a courtyard of century-old bonsai trees that ooze age-old wisdom. If you’re up for an interesting experience – perhaps this is for you. All over Vietnam you’ll find proud hairdressers snipping away in unused street corners and down dingy alleyways. From a traditional trim to some wacky hair-dos they’ll have you covered for just $1 and you’ll even get your ears cleaned for free too! 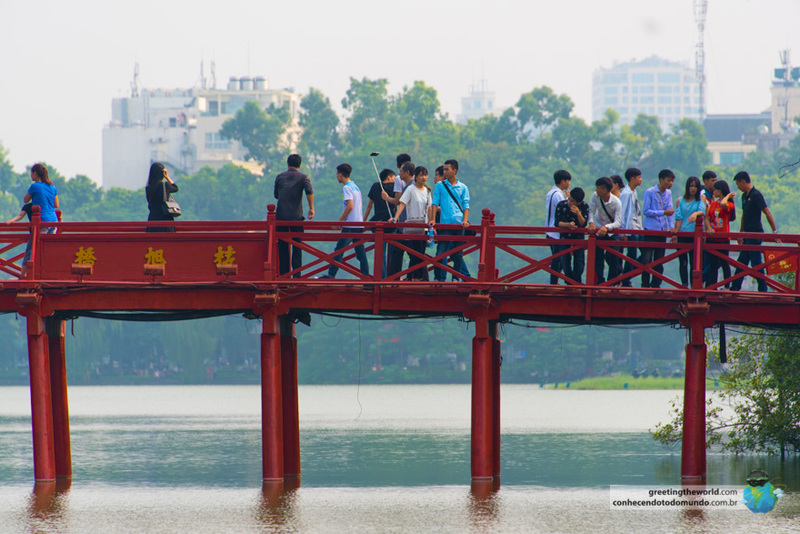 Long Bien Bridge has been been the lifeline to Hanoi’s capital city for generations. For that reason it was a juicy target for American bombers during the Vietnam War. It was bombed countless times with the most aggressive attack destroying the bridge completely. After each bombing the bridge was repaired using many of the original metal supports and beams. It stands today rather rickety but seemingly strong – thousands of scooters and countless trains trust its strength as they cross the bridge daily. 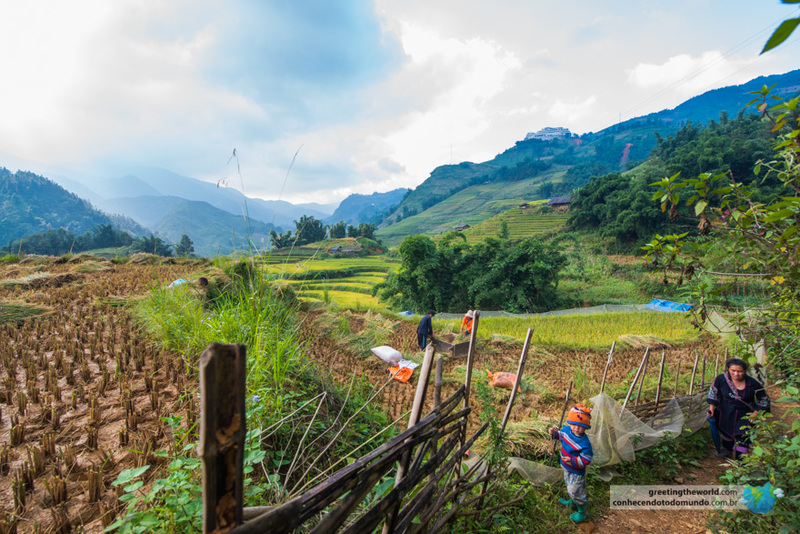 Sapa village is in the very northern corner of Vietnam where mountains jut into the clouds and the local ethnic people farm rice and animals to be self sufficient. The locals are among the last ethnic groups in the world that still live the majority of their lives as they did hundreds of years ago. Their clothes are hand-woven and dyed with indigo, beetroot or ash; food is prepared over a fire in the traditional way and farm-work is still carried out without machinery. 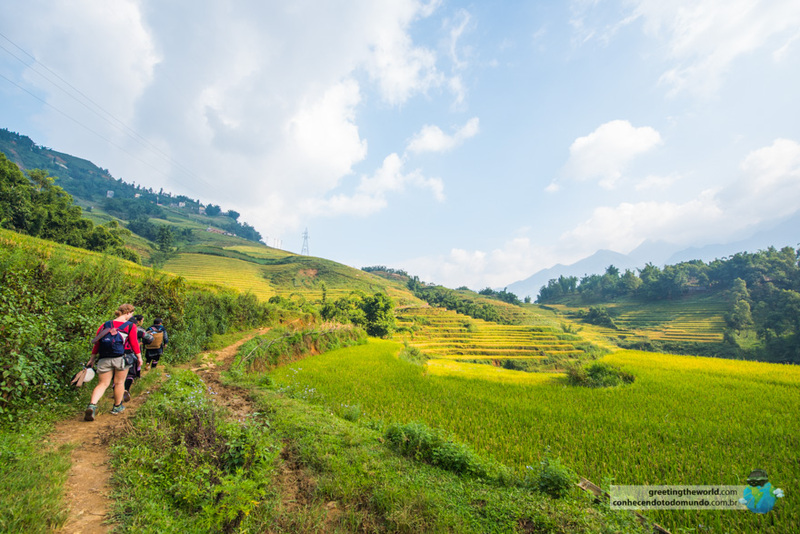 We spent two days trekking through the mountains here with three lovely ethnic women and it was one of the main highlights of our trip through Vietnam. 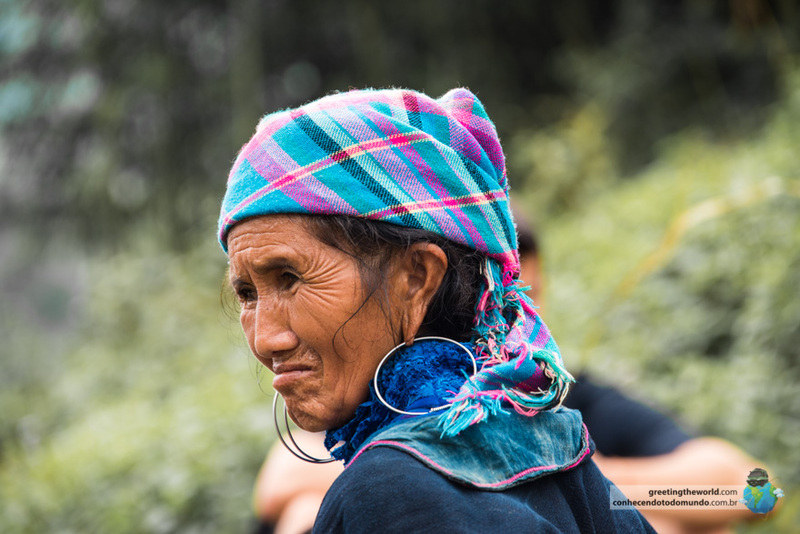 They guided us through bamboo forests, rice fields where locals were thrashing the grain from the stem and past countless waterfalls. We stayed the night in a homestay with a local family and were able to try meals made by their organic produce and famous rice wine. The experience was breathtaking and encouraged us to remember what really matters in life – family and simplicity. Sometimes those who have the least are the most happy! See what we mean in our video of the adventure here. 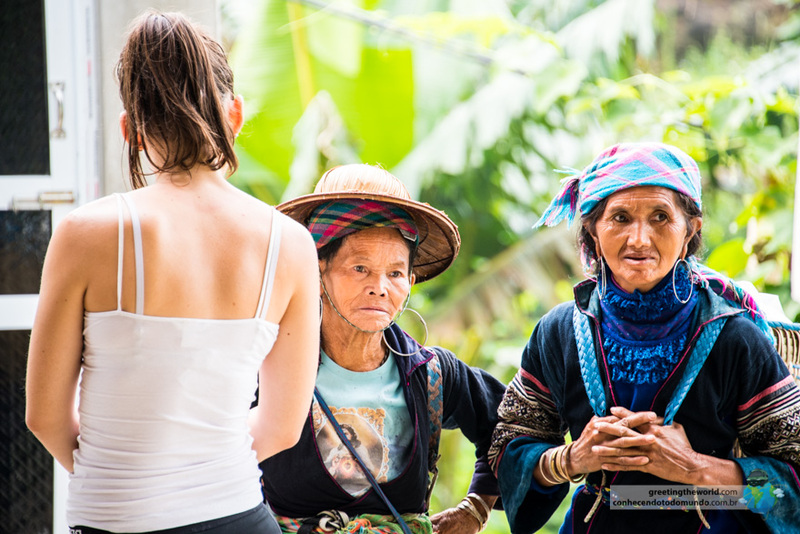 This certainly isn’t for everyone – you really have to be open minded and understand the local culture to give it a try. Alex was brave enough to have a taste, while I decided not to due to my respect for dogs as loyal, friendly animals. Sometimes its difficult to think outside our Western mindset when we travel, but one of our goals during this trip is to be more open-minded to the cultures we encounter along the way. Dog has been a staple food in many South East Asian countries for generations and is seen as completely normal. While Alex doesn’t intend to try dog meat again, it was surprisingly good – its served with a herby salad to balance the rich flavour and the meat itself comes barbecued on a skewer, as sliced meat or cooked with peanuts in the intestines. Alex still maintains that the flavour of the marinade was delicious and the meat itself tastes just like pork. Who would have thought! ?